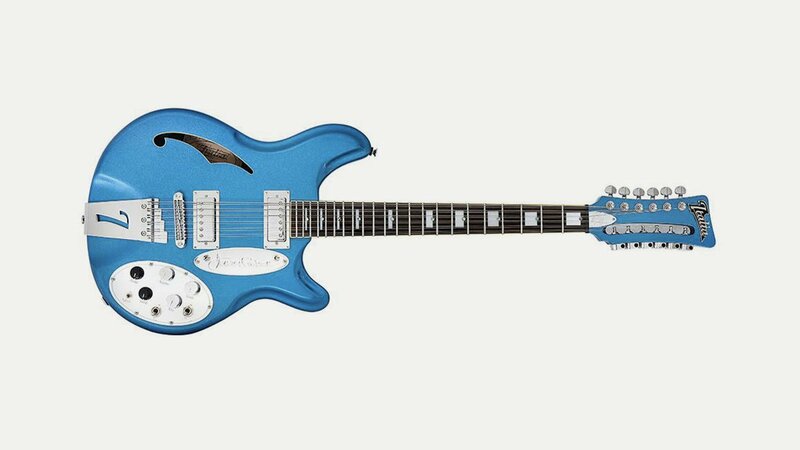 Italia Guitars is a manufacturer of unusual and original retro-styled electric guitars. The company was founded in 2000 with a line of guitars designed in England by luthier Trevor Wilkinson and manufactured in South Korea. Most guitars are based on other guitars manufactured in the 1950s and 1960s. For example, the basic shape of the Maranello is based on a Swedish Hagström of the late 1950s. The Modena is based on an Italian Crucianelli from the early 1960s. The guitars have been used by many musicians, most notably Chris Rea who discovered them after recovering from pancreatitis and deciding to embrace blues. A chance trip to a local music store led him to discover Italia guitars. He found they so perfectly suited him that he bought four for recording and touring, saying “I’ve played the best guitar of my life on that guitar”.